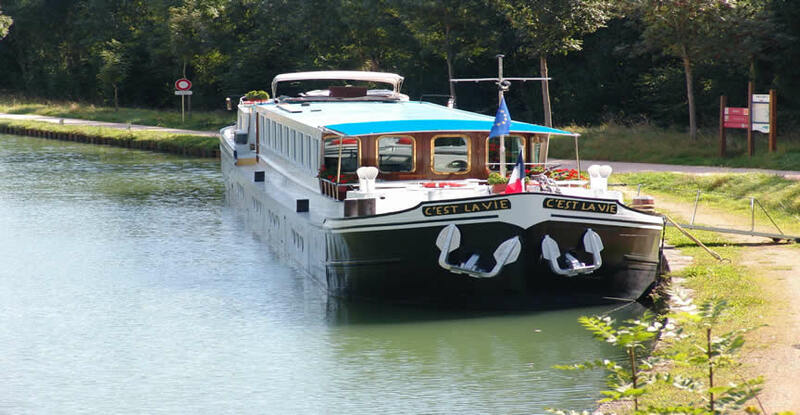 Your party will be met in Paris at 3pm by our driver and driven to the C'est La Vie moored in the hamlet of " Les Fouchards" situated 6 miles from Sancerre, and close to Cosne sur Loire, which is just the other side of the Loire river. Monday: Sightseeing Sancerre. Cruise to Beaulieu. Returning to the "C'est la Vie for dinner. From Ouzouer sur Trézée we drive to the town of Gien, the world famous centre for French table ware after a visit to the pottery, take a walk through this market town and discover its remarkable history, on the banks of the Loire river there has been a settlement here since Romans times. Back on board for lunch and an afternoon cruise to the town of Rogny-les-Sept-Ecluses, there you will see 7 remarkable old locks, (hence its name Sept Ecluses) dating back to the reign of Henry IV, it was a major feat of engineering for its time. Thursday: Sightseeing Château of Sully sur Loire. Cruise to Montbouy. If you haven't already put on your walking shoes, now is the perfect time as we cruise to the village of Montbouy. After lunch you will be driven to the Château of Sully, it is a prime example of a medieval fortress built by the river Loire, from the latter part of the 14th Century with such royal visitors as Queen Anne of Austria (Louis XIV mother) and Cardinal Mazarin, it deserves its place in history. Friday: Sightseeing Montargis. Cruise to Montargis.